Principal Cast : Charlie Chaplin, Henry Bergman, Edna Purviance, John Rand, Albert Austin, Wesley Ruggles, Eric Campbell. Synopsis: Charlie competes with his fellow shop assistant. He is fired by the pawnbroker and rehired. He nearly destroys everything in the shop and and himself. He helps capture a burglar. He destroys a client’s clock while examining it in detail. 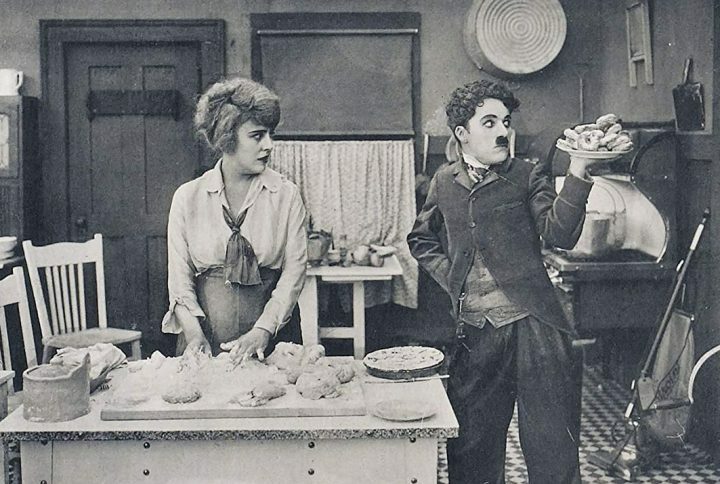 Chaplin’s sixth short under the Mutual banner sees him working at an old-style pawnshop, and getting up to his usual slapstick antics. Inventive, comedic, often raucous with pratfalls and endless mugging to camera, The Pawnshop may not be the most unique or creative of the Tramp’s outings on screen but its lightweight, breezy pacing and a game performance by the wonderful Henry Bergman (in his first starring role for Chaplin) make this an energetic romp. 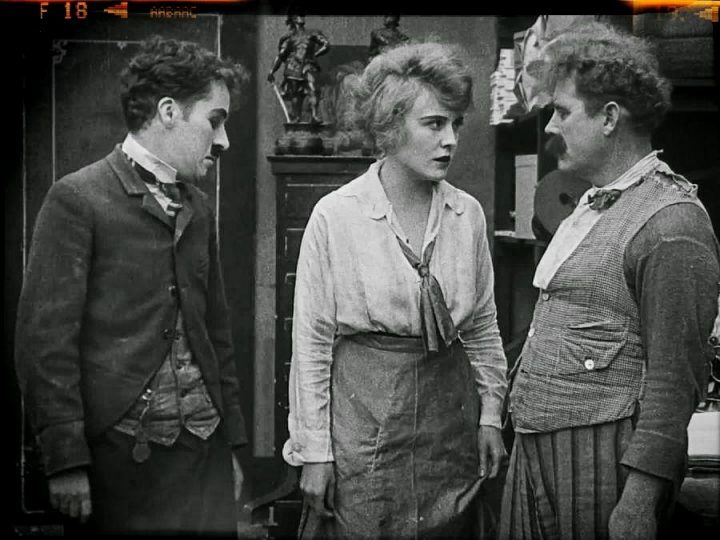 In a local pawnshop, the owner (Bergman) and his daughter (Edna Purviance) have two employees; the Tramp (Chaplin) and a violently combative second assistant (John Rand). As the Tramp and his second continue to brawl throughout the day, a variety of customers arrive seeking money – a clock owner (Albert Austin) who witnesses the complete destruction of his property, an elderly man (Wesley Ruggles) hoping to pawn his wedding ring, and a jewel thief (Eric Campbell) hoping to steal the valuables from the store’s enormous safe. Naturally, the Tramp becomes involved and violent hijinks ensue. 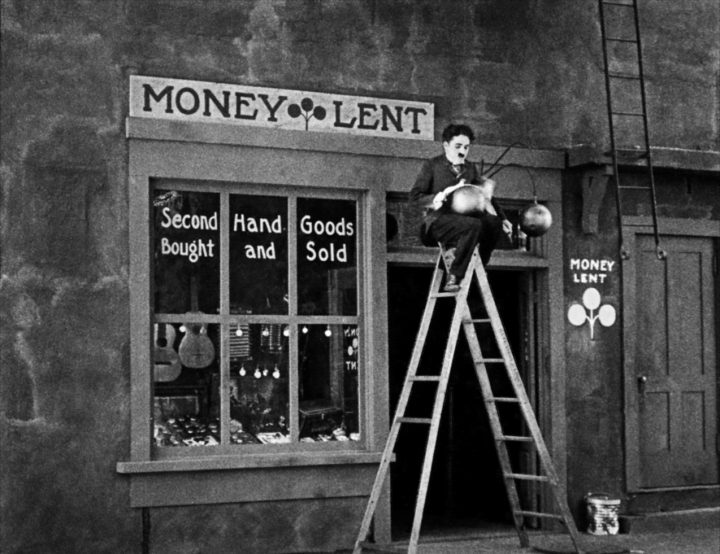 Sandwiched between The Count and Behind The Screen in his filmography, Chaplin’s The Pawnshop is a relatively intimate slapstick farce that boasts nonsensical pratfalls, physics defying thrills (at one point, Chaplin mounts a ladder to wash the side of a building, only to find the ladder rather unstable…) and the requisite duck-n-dodge violence that dominates early silent cinema of this kind. Falling, kicking, farcical brawls and an abandonment of social awareness makes for terrific comedy fodder, and Chaplin’s manic storytelling style suits this shorts’ wafer-thin premise superbly. The Pawnshop features a number of specific comedy sequences; most notably a wonderful scene involving Albert Austin hoping to pawn an alarm clock, only for Chaplin’s Tramp to utterly destroy the item in the process of inspecting it, rendering it worthless. 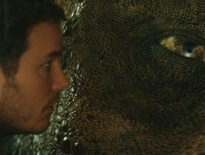 It’s a protracted, slow-build sequence as Austin’s reactions provide far more chuckles than Chaplin’s hysterical overplaying of the scenario, and it’s testament to his skill as a filmmaker that he allows the supporting cast here to have as much investment as the director himself normally would. The film’s most thrilling sequence, in which Chaplin precariously sits atop a tall ladder that appears ready to topple at any moment, is a daring piece of acrobatic skill, coupled with co-star John Rand’s excellent reactionary physicality matching Chaplin’s beat for beat. 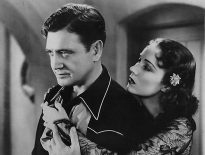 Rand, for his part, delivers solid work as the Tramp’s main foe, a zip-and-zing repartee between the two being a highlight indeed. Nominal background actor Henry Bergman takes center stage as the titular shop’s owner, a bulky, brutish individual who temperament is indicative of his size and whose daughter is alarmingly pretty. Purviance, as the daughter, is a token female presence that, for once, is ineffective other than pretty window dressing, while the charismatic Eric Campbell villainously twirls his moustache to death playing a conniving thief intent on robbing the shop. 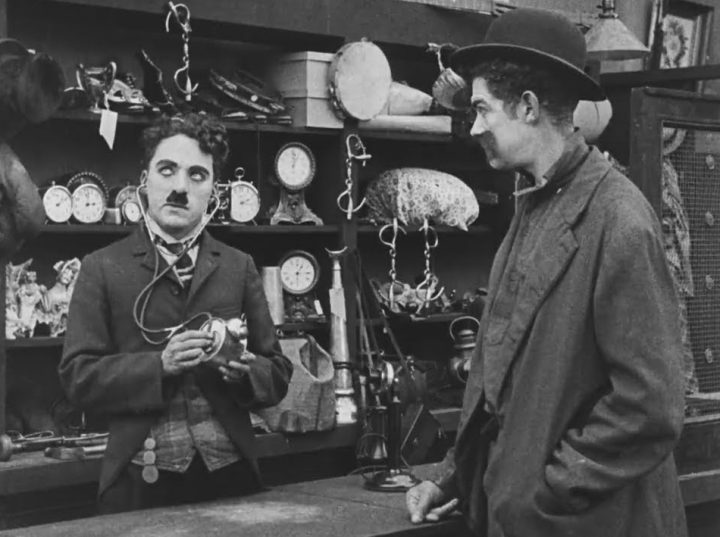 While it may not have the sprawling largesse of The Cure or the thematic weight of The Immigrant, Chaplin’s The Pawnshop is a wonderfully skittish farce delivering decent laughs and its share of iconic Tramp moments. The supporting cast are on point, Chaplin surprisingly takes a lesser role compared to other films, and it’s fun to see how many laughs can be mined from such a simple basis for plot. I say plot like Chaplin has some grand scheme here: if I’m honest, it totally feels like he’s making it up as he goes along, but for the nonsense the short achieves it’s utterly insignificant. The Pawnshop is as ripe and ribald as any other under the Mutual banner; worth a look for both fans and casual audiences alike.